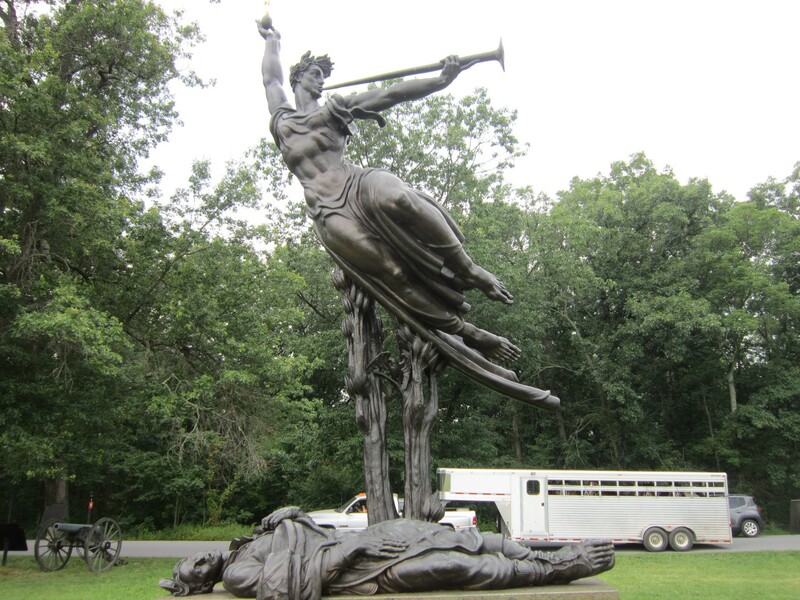 Our 2017 Road Trip, Part 37: The Rest of Gettysburg « Midlife Crisis Crossover! 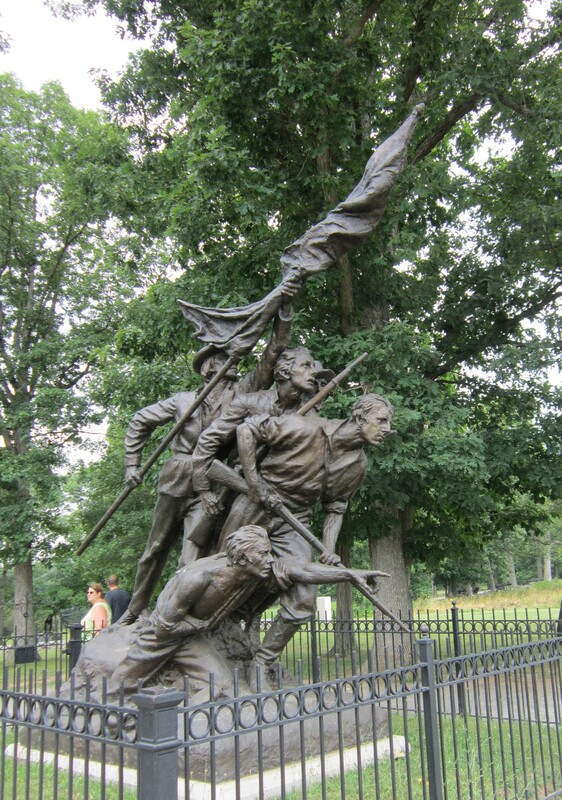 Also previously: Thursday morning we toured the grounds of Gettysburg National Military Park, infamous site where July 1-3, 1863, marked the highest three-day body count in the history of U.S. soil. 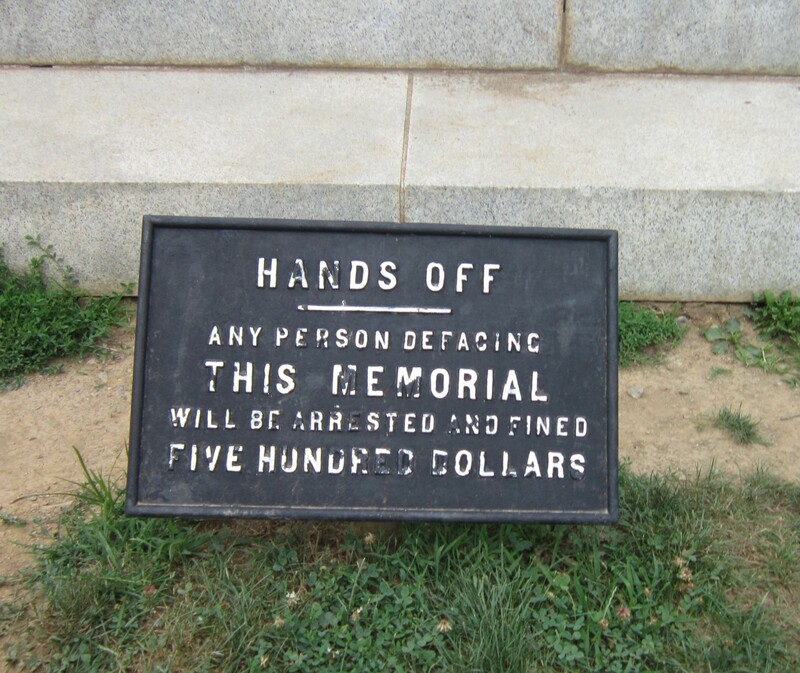 Today the grounds hold far more than monuments, though travelers would do well to arm themselves with context by stopping at the Visitors Center first. Unlike our turnabout Antietam experience, this time we found the Gettysburg visitors’ center before we got too far into stone markers and endless fields. A little foreknowledge and a big foldout map can make all the difference when you’re trying to follow in history’s footsteps. Also, their visitors’ center has far better snacks than Antietam’s, including but not limited to a coffee bar and Moon Pies. Before you hit the road and track down all those famous locations, naturally there are display cases with artifacts and captions. I think they also had a film presentation and probably some tour guides available, but we’re stubborn about going the self-guided route where possible. 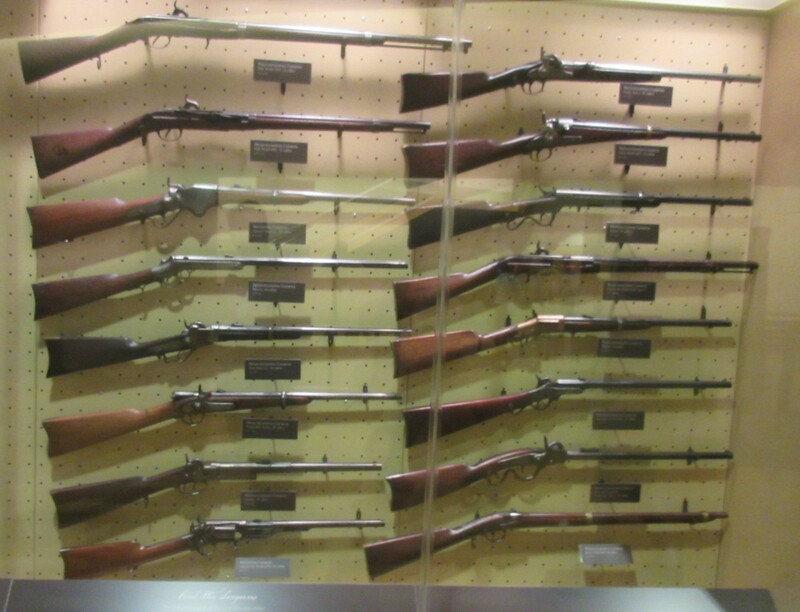 Guns, guns, guns. Right now I’m hearing that in the voice of Marcus from Borderlands, but don’t mind me. Cavalry swords are a bit of a minority in their arsenal by comparison. 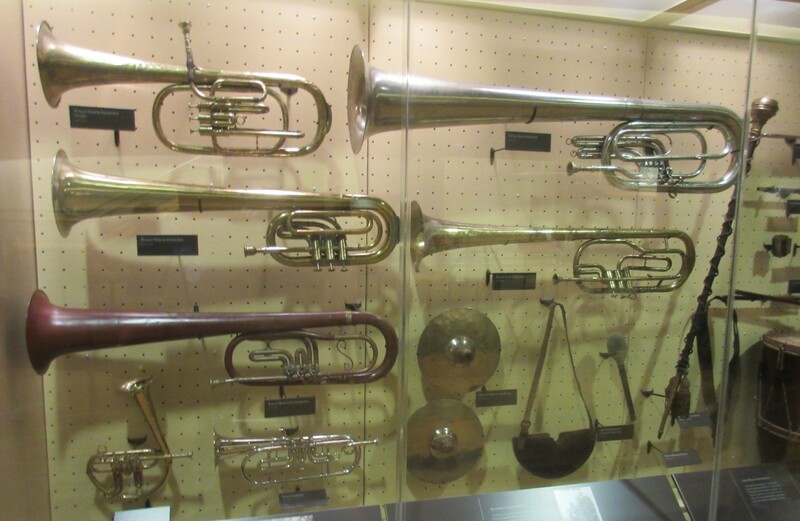 For those who prefer supporting roles and/or nonviolent options, a selection of genuine battlefield instruments, put to better uses than merely trying to sell records to teens. 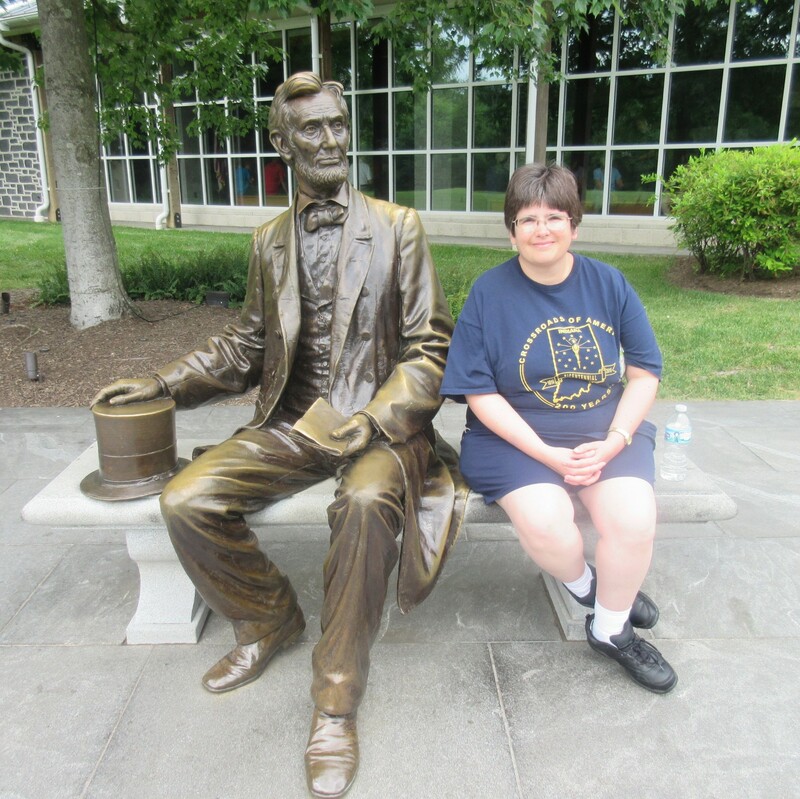 One of the sites Anne wanted to see most was the area now known as Little Round Top. The modest hill hosted one of the climactic battles in Day Three when the Union stood their ground against the Confederate army in a downhill charge reminiscent of Gandalf’s big moment near the end of The Two Towers. 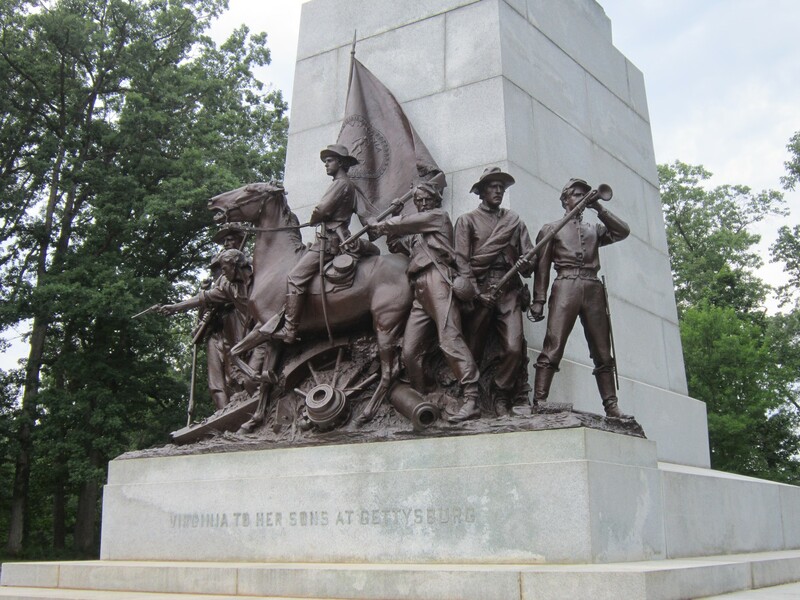 Union monuments including those for the 91st Pennsylvania and the 44th New York top the hill today, which also allows for one of the best panoramic views we saw throughout our Gettysburg drive. 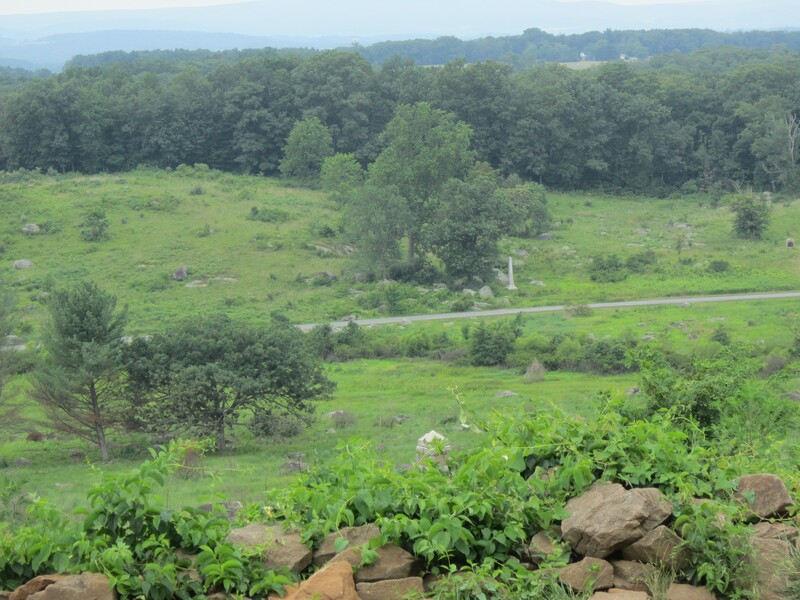 The view from Little Round Top, with other markers doing their jobs off in the distance. 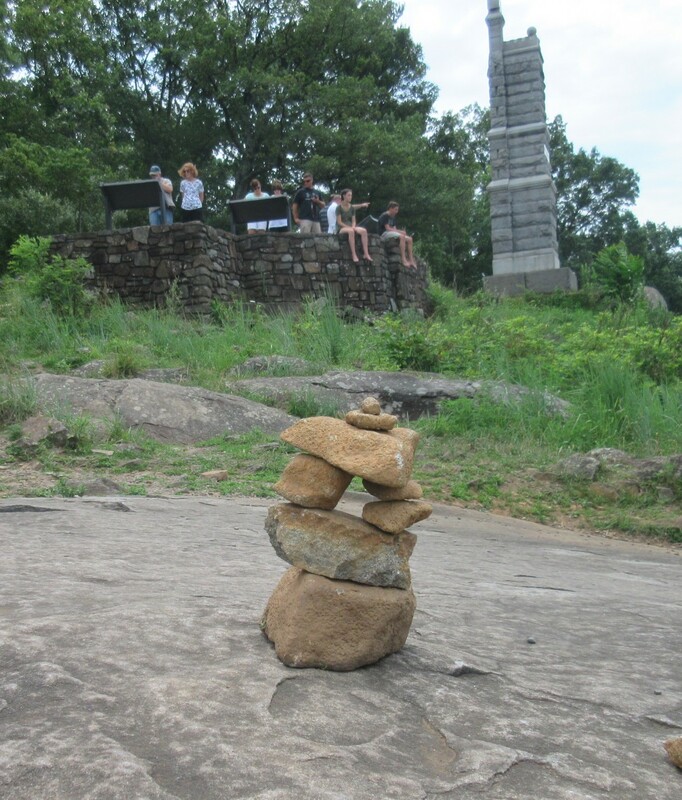 Some inspired youth decided to build their own monument, possibly to GI Joe. 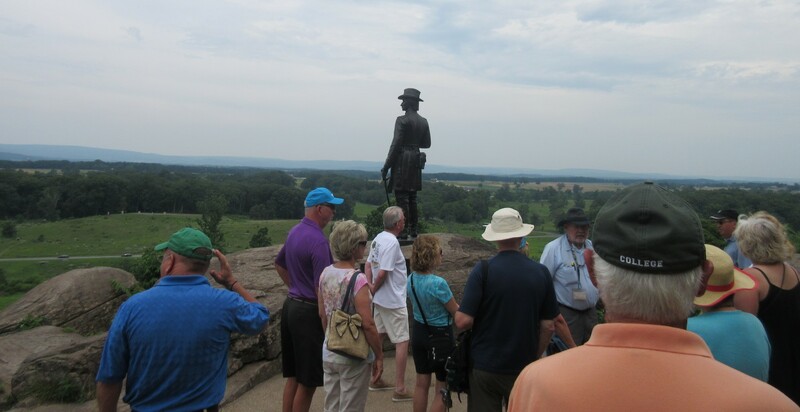 A tour group gathered behind the back of General Governeur K. Warren, the “Hero of Little Round Top” who executed the plan that saved the day. One tourist broke off from her group for a smoke break and chatted with us briefly, though when she veered sharply into political rhetoric we began searching for the exits. Fortunately when you’re outdoors, everywhere’s an exit. 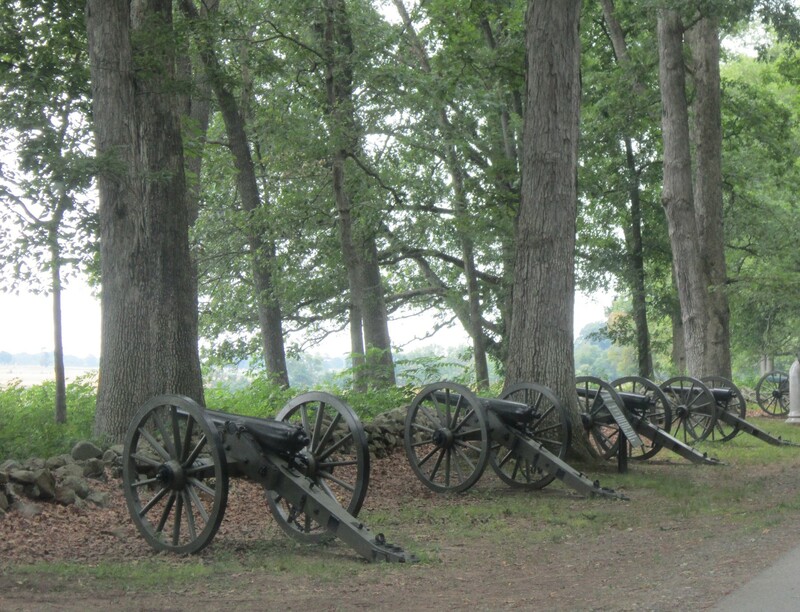 As with Antietam, cannon statues are everywhere for ambiance. This time we didn’t feel the need to examine them up close. 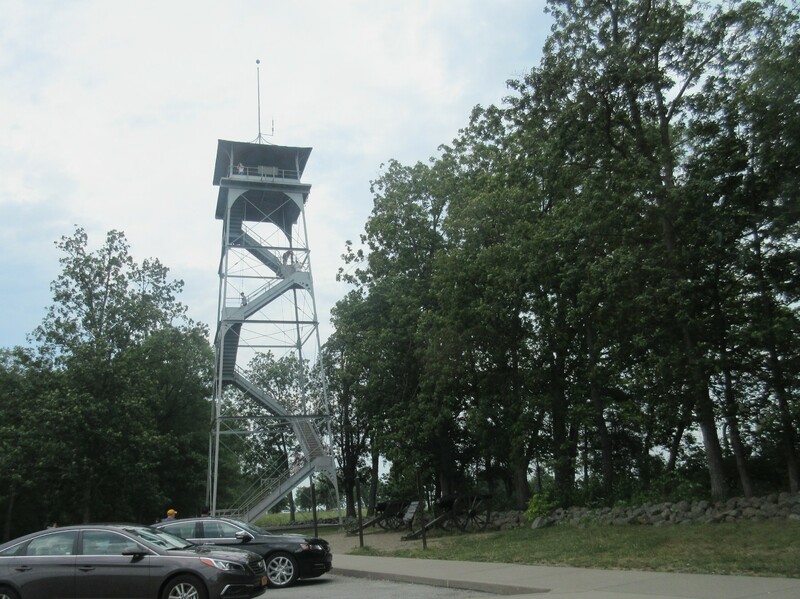 One of a few observation towers for higher vantages. We both looked at the stairs and decided we were good. 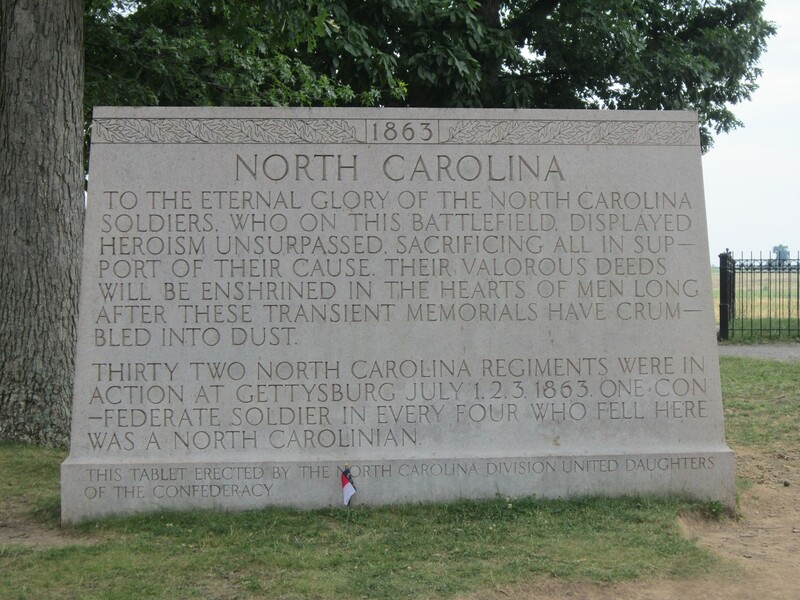 Our last chapter showcased several salutes to the North — its soldiers, states, and accomplishments commemorated on site. As you’d expect, the South also sees a share of coverage here and there. 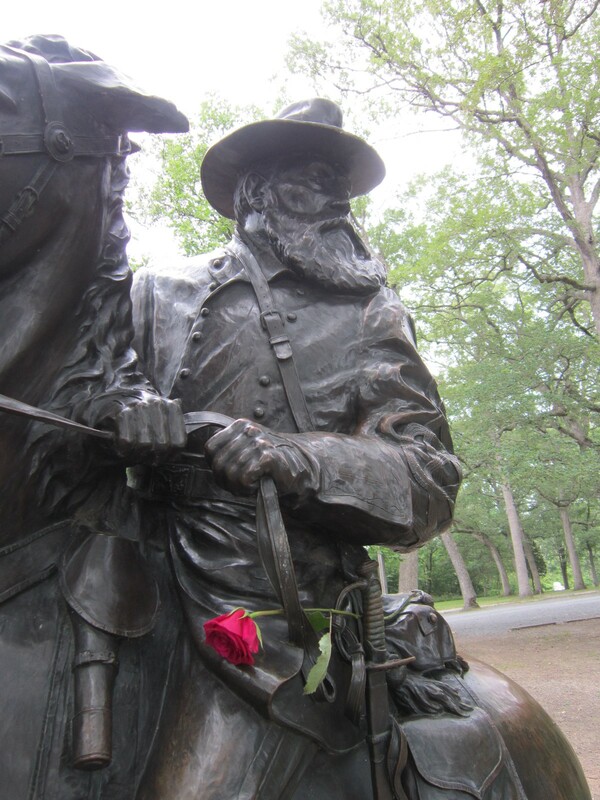 Among their noted individuals was General James Longstreet, once General Lee’s sidekick. He won several battles for the Confederate side until squabbles with Lee compromised matters and quite possibly cost them the victory at Gettysburg. After the war, Longstreet joined the Republican party as it existed back then, converted to Catholicism, and became a pariah among his former Southerners when he willingly worked with known blacks. 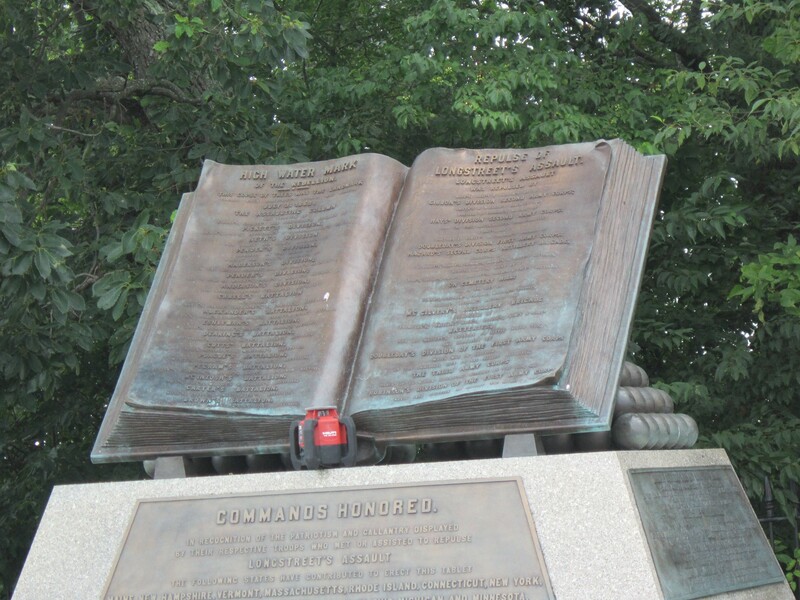 The tale of that conflict in Confederate leadership (known as either Pickett’s Charge and/or Longstreet’s Assault) was so fraught with emotion, someone carved a super-sized immobile stone encyclopedia all about it. The North Carolina State Monument, pinning the spot where their troops launched into Longstreet’s Assault. Dedicated in 1929, most recently restored in 1999. 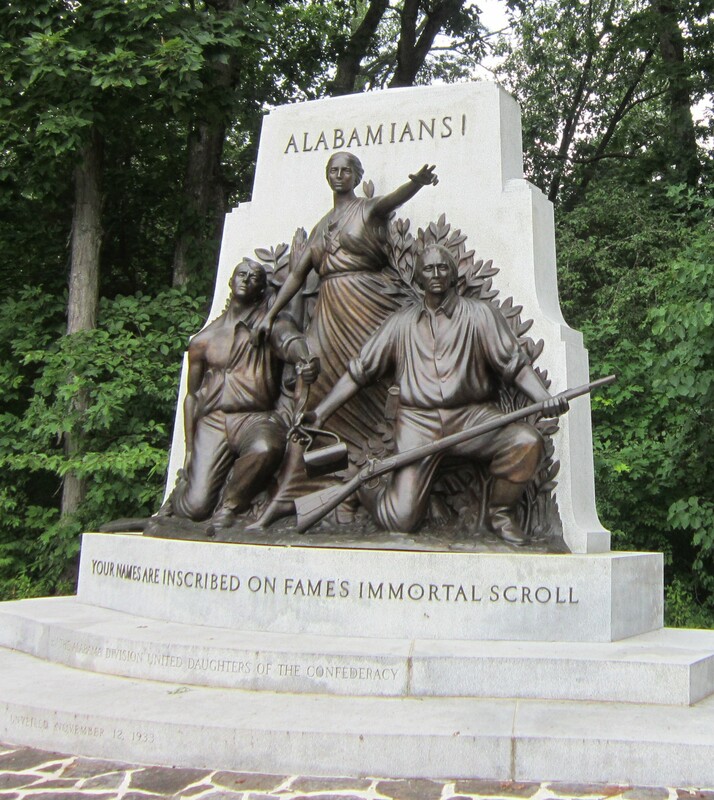 The Alabama State Monument, made possible in 1933 by the United Daughters of the Confederacy, self-appointed biggest PR firm ever to keep trumpeting the South through antebellum times. They did a lot of work nationwide. Like, a lot. The Mississippi State Monument. I…uh, yikes. Mississippi, are you okay up there? 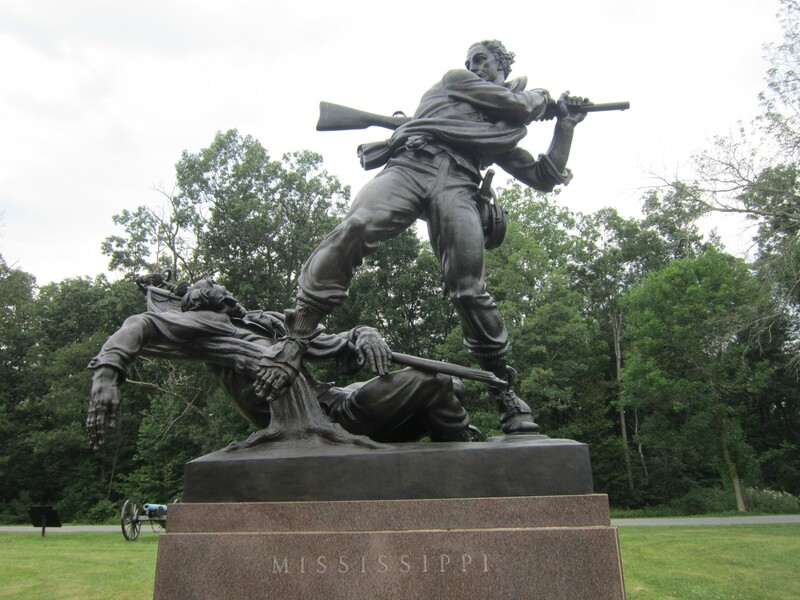 The Louisiana State Monument, added in 1971, features a fallen soldier making way for [checks notes] “the Spirit of the Confederacy”, which you don’t see in too many Greek temples anymore. Notice the horn acknowledging the dawn of great black men inventing jazz. As you’d expect, the Virginia State Monument is among the most lavish of the Confederate representatives. 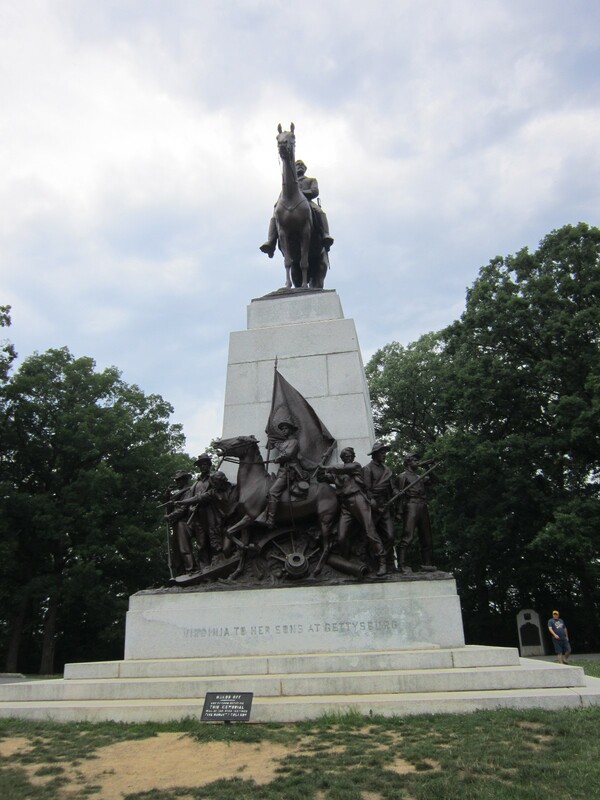 At the base of the monument, the men face in the direction of Longstreet’s Assault. 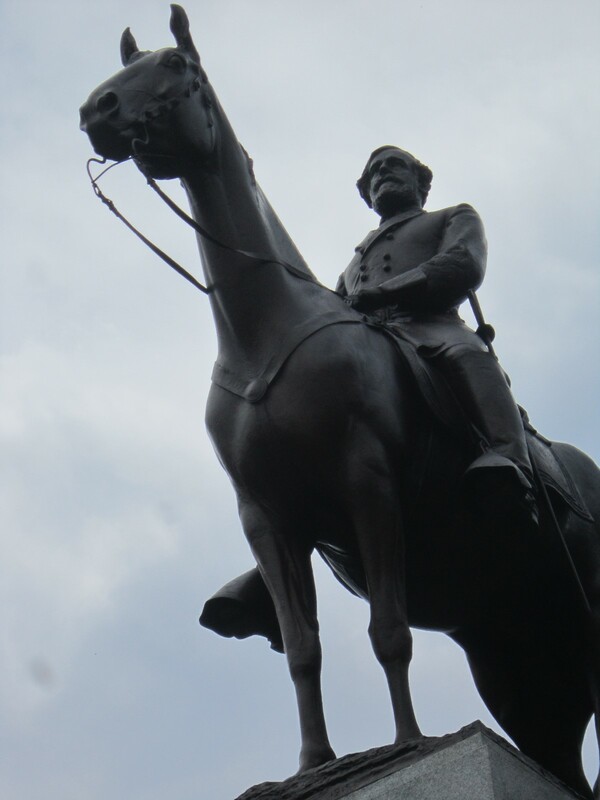 Perched atop is — you guessed it — the man, the myth, the rascally troublemaker himself, General Robert E. Lee. I know exactly what you’re thinking, millennial activists, but Gettysburg says NO. 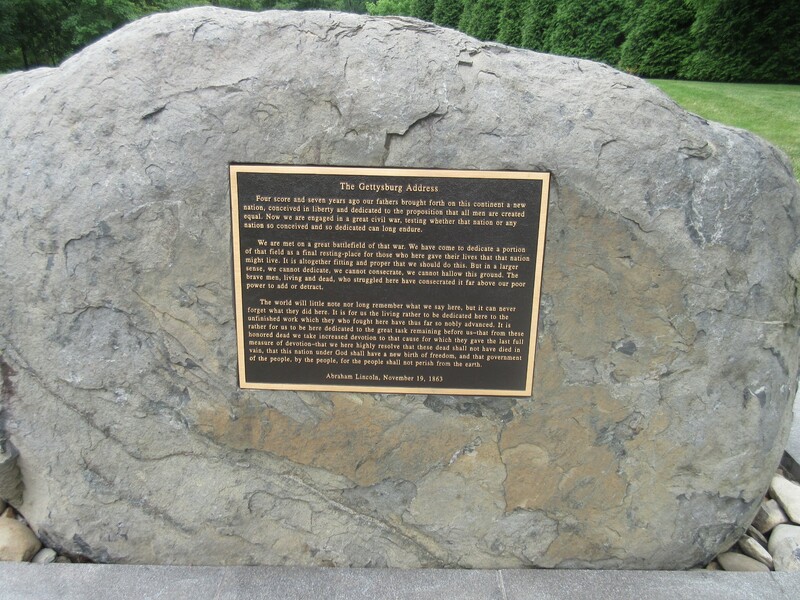 …or we could return to the visitors’ center to end on a different plaque — a vital reminder of why we’re even here at all. Ten sentences only took a few minutes for President Abraham Lincoln to utter, but they would ripple across generations.